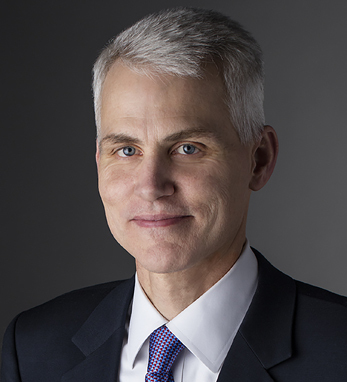 Michael O’Grady is president of the Corporate & Institutional Services business unit at Northern Trust and serves as a member of the Corporation’s Management Committee. Northern Trust’s C&IS business unit is a leading provider of asset servicing, investment management, banking and related services to institutional clients worldwide. Prior to assuming his current role, Mike served as executive vice president & chief financial officer of Northern Trust. Mike joined Northern Trust in 2011 from Bank of America Merrill Lynch, where he served as a managing director in the firm’s Investment Banking Group and head of the Depository Institutions Group for the Americas. He joined Merrill Lynch in 1992 as an associate. Prior to Merrill Lynch, Mike worked for Price Waterhouse. He holds a B.B.A. from the University of Notre Dame and an M.B.A. from the Harvard Graduate School of Business. A board member of the Field Museum, the Museum of Contemporary Art, and Catholic Charities, Mike is third-generation Irish on both his father and mother’s sides. The O’Gradys are from County Mayo and the Kileys are from County Clare.